Our mission is quite simple; to provide high quality, delicious meals made from the highest quality ingredients and the freshest seafood served from the most beautiful seaside location. Our mission is evident in our menu as every ingredient has been meticulously planned by renowned chefs. Moreover, our best-in-class sushi menu was fashioned by our Sushi Master and hand crafted by premium sushi chefs. Moreover, our cocktail recipes have been scrupulously crafted to expertly blend the flavors and aromas. 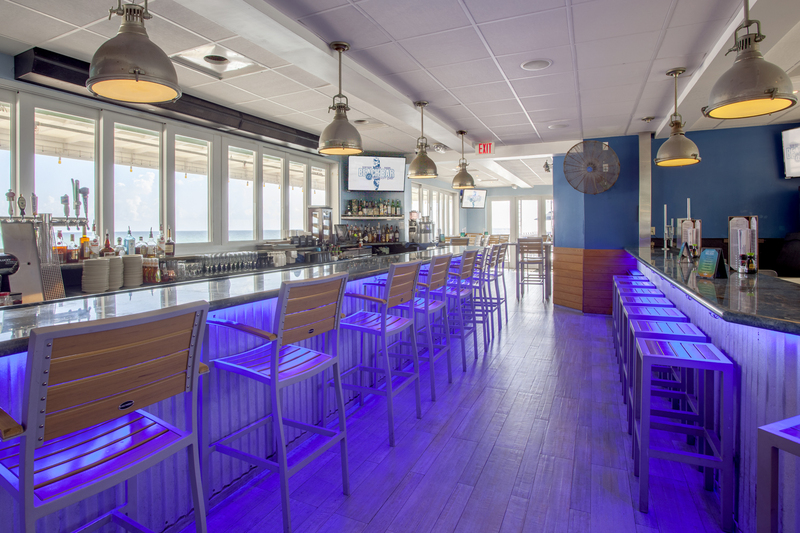 Beach Bar @ Newport Pier is the newest addition to our decades long history in the food service industry. Our history dates back to 1966 with the opening of the Big Daddy’s Liquor Store and Lounge on Cordova Road, in Fort Lauderdale, Florida by Paul Flanigan's uncle, Joe “Big Daddy” Flanigan. The lounge was nicknamed the “Quarterdeck” by Big Daddy, and by that name it has been known for 50 years. 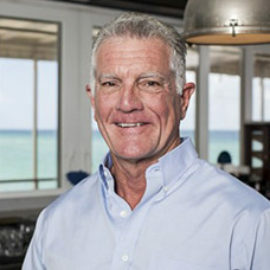 Paul purchased Quarterdeck from Flanigan’s Enterprises, Inc. in 1986, and he partnered with Flanigan’s for close to a decade, opening and managing a number of Flanigan’s Seafood Bar and Grill franchise and company units. He opened a second Quarterdeck Seafood Bar & Neighborhood Grill on Fort Lauderdale Beach in 1995 and then he soon partnered with Frank Zaffere to open six additional Quarterdecks in Dade, Broward, and Palm Beach Counties from 1997 through 2004. Paul and Frank teamed up to design, create, and open Dive Bar Restaurant in Jupiter, Florida in 2011 and Dania Beach Quarterdeck in 2012. In 2014, Beach Bar @ Newport Pier was opened and has been serving satisfied customers ever since. Beach Bar @ Newport Pier, located in Sunny Isles Beach, nicknamed "Florida's Riviera", and sits directly on the Newport Pier at latitude: 25’ 55’ 48 N longitude: -80’ 07’ 13 E elevation: 6 ft is the most eastern restaurant and the crown jewel of beach front restaurants in Dade County. In fact, the Beach Bar @ Newport Pier is the only pier-top restaurant in all of Miami Dade. The patriarch of the Quarterdeck family, Paul purchased Quarterdeck from Flanigan’s Enterprises, Inc. in 1986, and he partnered with Flanigan’s for close to a decade, opening and managing a number of Flanigan’s Seafood Bar and Grill franchise and company units. He opened a second Quarterdeck Seafood Bar & Neighborhood Grill on Fort Lauderdale Beach in 1995 and then he soon partnered with Frank Zaffere to open six additional Quarterdecks in Dade, Broward, and Palm Beach Counties from 1997 through 2004. Paul and Frank teamed up to design, create, and open Dive Bar Restaurant in Jupiter, Florida in 2011, Dania Beach Quarterdeck in 2012, Beach Bar @ Newport Pier in 2014, and Good Spirits, which is set to open in early 2017. Born in Texas, Paul has been in Florida for most of his life. He attended the University of Florida and then went on to graduate from the University of Notre Dame with a B.B.A. in Accounting, and later graduated from the University of Miami School Of Law. Prior to entering the restaurant business, Paul also worked as a staff accountant with Price Waterhouse in Tampa and later worked as an attorney with Morgan, Lewis, and Bockius in Miami. Paul is also an experienced pilot and is married with five children. Frank is a long-time business partner and friend of his fellow Notre Dame alumni, Paul Flanigan and Joe Zebrowski. His introduction to the restaurant industry began in 1992 when, within five days of his arrival in South Florida, he was employed as a busboy at the first Quarterdeck. Less than 10 years later, he was named Director of Operations. Under his direction, the Quarterdeck doubled units and sales, and established partnership relationships with three major sports franchises in South Florida: the Miami Dolphins, Florida Panthers and Florida Marlins. Frank was the impetus behind the adoption of sushi into our operations, first as a limited menu item, and then based upon his creation and development of Dive Bar, as a major revenue center. Frank’s restaurant experience includes serving as managing partner of all the Quarterdeck locations, president of Dive Bar, president of Beach Bar @Newport Pier, Lobby Bar LLC, Good Spirits LLC, and Jedi Enterprises LLC. Frank is also a local radio personality with ESPN 106.3, where he hosts a weekly show concentrating on Mixed Martial Arts. Frank is married with 2 children. James has worked in the restaurant industry since he was an early teenager, shadowing his father, Paul, and helping out with odds and ends around the Quarterdeck and other local bars and restaurants. He has worked from the proverbial ground floor up and has worked – or at least moonlighted – in every position in the front and back of the house. James’ career with Quarterdeck and in the industry continued through high school, college, and even law school. 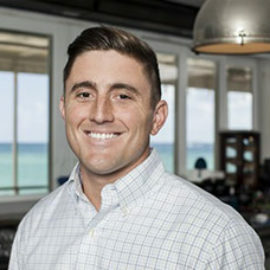 A Fort Lauderdale native, James graduated from Florida Atlantic University with a degree in Accounting, and from the Florida State University College of Law. During college and law school, he worked in the federal trial court in Philadelphia, the state appellate and trial courts in Tallahassee, and also in different restaurants and bars in and around the Fort Lauderdale and Tallahassee area. James practiced law for almost four years in Fort Lauderdale at the law firm of Tripp Scott. His practice focused mainly on commercial litigation, bankruptcy and insolvency proceedings. James lives in downtown Fort Lauderdale and plans to plant his roots in the area even further. His love for the bar and restaurant business, along with his eclectic background, eventually led him back to the hospitality industry and to form Old School Hospitality with Paul, Frank, and Joe. He now handles the day-to-day legal and accounting work for Old School Hospitality and its subsidiary restaurants from our corporate office in Fort Lauderdale. 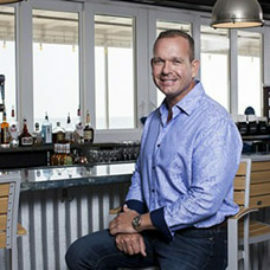 Before entering the restaurant business, Joe co-founded a very successful computer support company in the mid-1990’s called the Answer Group in North Fort Lauderdale. The Answer Group became one of the leading companies providing consumer-based customer support to technology focused industries. He left that business in 2002 to focus on real estate development and competitive sport fishing. He later went to law school at Nova Southeastern University, and he practiced as an attorney in South Florida before joining Old School. Joe Zebrowski left his legal career in 2014 to join Old School Hospitality with Paul Flanigan, James Flanigan, and his college roommate, Frank Zaffere. 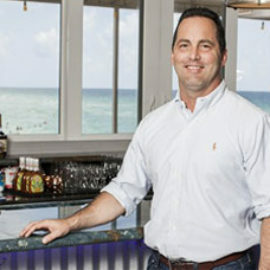 He is currently responsible for the operation of the Beach Bar @ Newport Pier in Sunny Isles and oversees the construction and start-up obligations of Old School’s newest endeavor, “Good Spirits”, in Fort Lauderdale. Joe attended Notre Dame on a baseball scholarship and graduated in 1992 with a business degree. He has two children. Feel free to contact us directly through the form below and we'll get back to you as soon as we can.